Maybe it’s a stretch to make a biopic about a singer best known for a song another singer wrote about him. Or maybe that’s what biopics are for: to throw light onto figures who’ve been unfairly cast in the shadows. 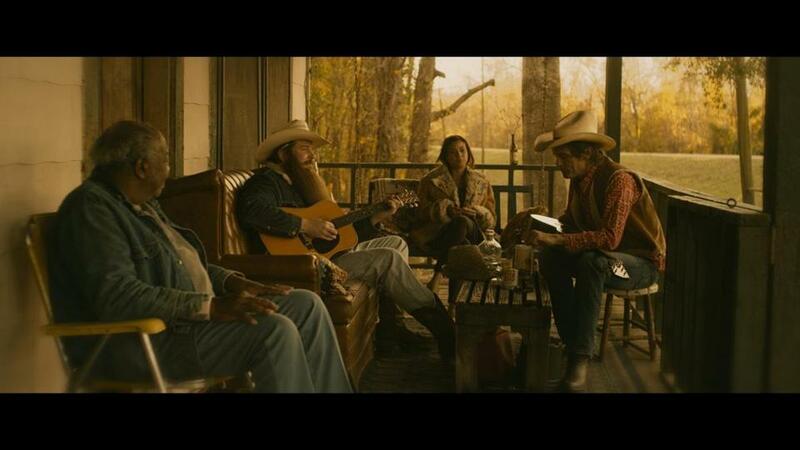 The better biopics, anyway, and Ethan Hawke’s “Blaze” is one of them, even if a listen to Blaze Foley’s music hints at much that Hawke doesn’t quite capture about the man. If you’ve heard of Foley, it’s most likely from Lucinda Williams’s “Drunken Angel,” a 1998 song written nine years after Foley’s murder. (A lot of casual listeners assume the song is about Hank Williams.) Foley was an Austin musical legend and an alcoholic screw-up, the kind of “beautiful loser” — Lucinda Williams’s words, echoing Leonard Cohen — about whom it’s easy to feel fond if you weren’t depending on him for something. The movie is Hawke’s fourth and best feature as a director; it’s immensely touching, and only deceptively shapeless. He wrote it with Foley’s ex-wife, Sybil Rosen, basing it on her memoir, “Living in the Woods in a Tree: Remembering Blaze Foley.” Ben Dickey, an Arkansas-born rocker, plays the title character and matches Foley in bearlike heft and wayward eccentricity; the performance won a special jury award at Sundance this year. The performances are what make “Blaze” worth attending to, in fact — the music, too. As is hardly surprising in a film directed by an actor, the cast is indulged to discover moments of presence rather than bullet points of drama, and Dickey is far from the only standout here. As Rosen, the much-loved Alia Shawkat (“Arrested Development,” “Green Room”) gets a role worthy of her rumpled, soulful intelligence; we see the character spark to this big, gifted bear and slowly lose him to his demons. That’s pretty moist, especially when other scenes are clear-eyed about the damage Foley wreaked on his career, his health, and the people around him. A trio of naïve Texas oilmen turned record producers — played, in an inspired round of casting, by Sam Rockwell, Steve Zahn, and Hawke’s oft-times director Richard Linklater — decide to invest in Blaze only to see their money disappear in partying and booze. The movie peddles the romanticized notion that Foley was the purer artist for his sodden refusal to play the game. “Blaze” often does so with great skill: rich countrified cinematography by Steve Cosens and an ambling but thought-through editing scheme that works its way up to Foley’s senseless death in a moment of small heroism. But all you have to do is listen to Blaze Foley’s recordings — I’m partial to the rough early recordings collected as “Sittin’ by the Road” — to hear a more focused, authoritative artist than the beautiful loser shown here. Hawke is chasing a vibe, one of talent blooming and fading on its own helpless timeline. He knows a song like Foley’s “Clay Pigeons” is one of those oak trees that feels like its been around forever the first time you hear it. And he’s canny enough to cast Kris Kristofferson as Blaze’s wasted wastrel daddy, spent and silent in a county hospital. One look into those gray eyes and you glimpse an entire history of country music, as well as the hellhounds that drove Blaze Foley to glory and toruin. Directed by Ethan Hawke. Written by Hawke and Sybil Rosen, based on Rosen’s memoir. Starring Ben Dickey, Alia Shawkat, Charlie Sexton. At Coolidge Corner, Kendall Square, Boston Common. 128 minutes. R (language throughout, some sexual content and drug use).